The Acequia de Chamita is located in Chamita, New Mexico. 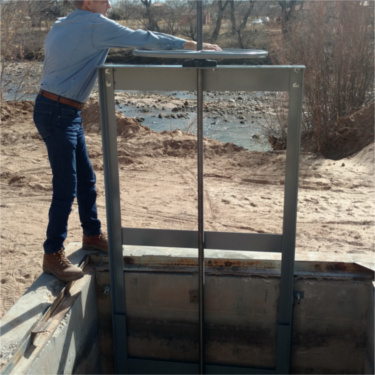 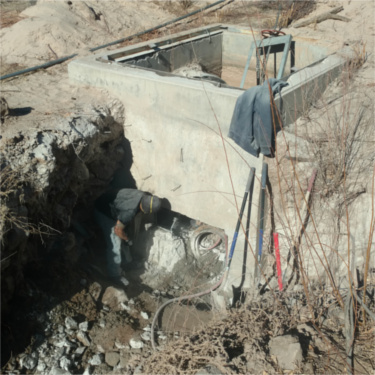 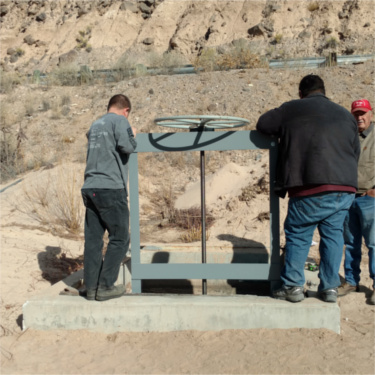 The rehabilitation work included the excavation, concrete demolition, removal and salvaging of a canal gate as well as the furnishment and installation of a 42-inch corrugated metal pipe with a 42-inch slide gate. The contractor also placed a reinforced concrete collar and the required compacted backfill.